Walmart is really crowded on a Saturday night. It’s true. Like, way more crowded than you would expect. I happen to know this information as first hand fact, because I was there. I was actually, voluntarily at Walmart…on a Saturday night. Yup. What was I doing at Walmart on a Saturday night? Why, thank you for asking. Sit back and I’ll tell you a little tale about how I will literally (clearly) do anything to get my 5-year-old to stop harassing me. On Tuesday she kinda sorta thought that she may or may not have possibly seen her sister with the same candy immediately following my last trip to Walmart. It was a good clue. It narrowed it down, it made sense…this was information I could work with. On Wednesday she decided to raise the funds for the mystery coveted candy. 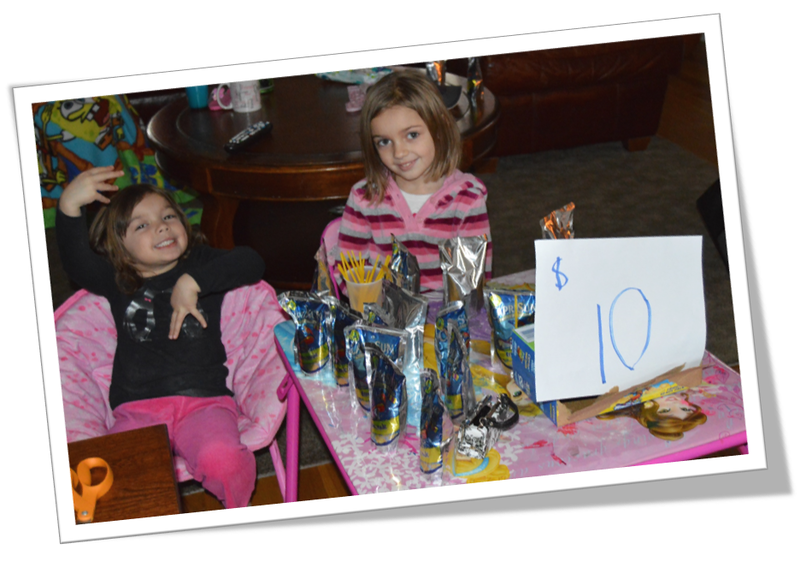 She (along with her little mini-me cohort) went about setting up the biggest money maker known to 5-year-olds: A lemonade stand. (In the middle of winter in our living room.) Lemonade juice bags: $10 a pop, Cash cow: me. By Thursday she became fixated on getting to Walmart, and the begging began. Can we go to Walmart? (At some point, yes.) When? (I don’t know.) Can we go today? (I’m too busy today.) Why? (I just have a lot to do.) Like what? (Like a lot of house stuff, I’m not taking you to Walmart today.) Can we go tonight? (No, that is almost the same as today.) Can Dad take me? (Dad is not taking you to Walmart to search for some unidentified candy.) Can we go after lunch? (I told you I’m not going to Walmart today.) Why not? (Stop asking me to take you to Walmart.) Can we go tomorrow? (I don’t know, maybe.) Mom!!! (I’ll take you in the next few days, I can’t give you an exact time or day.) Please can we just go today… (You have three seconds to get away from me or my head is going to explode.) And on…and on… and ON… You don’t know persistence until you have faced a determined 5-year-old. In hindsight I can see that I should have probably been more specific in my answers. But in my defense I was hoping she would forget all about the candy eventually and I could skip making a dreaded trip to Walmart. By Friday I was a shell of my former self. I couldn’t take it any longer. “FINE!! I’ll take you to Walmart so that we can dodge weird people and search for some mystery candy that probably isn’t even there anymore! FINE!!! But I’m not taking you today. It’s Friday. I’m not going to Walmart on a Friday. I’ll take you tomorrow.” Tomorrow being Saturday. Which somehow seemed better than Friday. But I was still holding out hope that she would forget all about it. So that brings us to Saturday. She didn’t forget about it. Not even a little. And that is how I ended up at Walmart on a Saturday night. 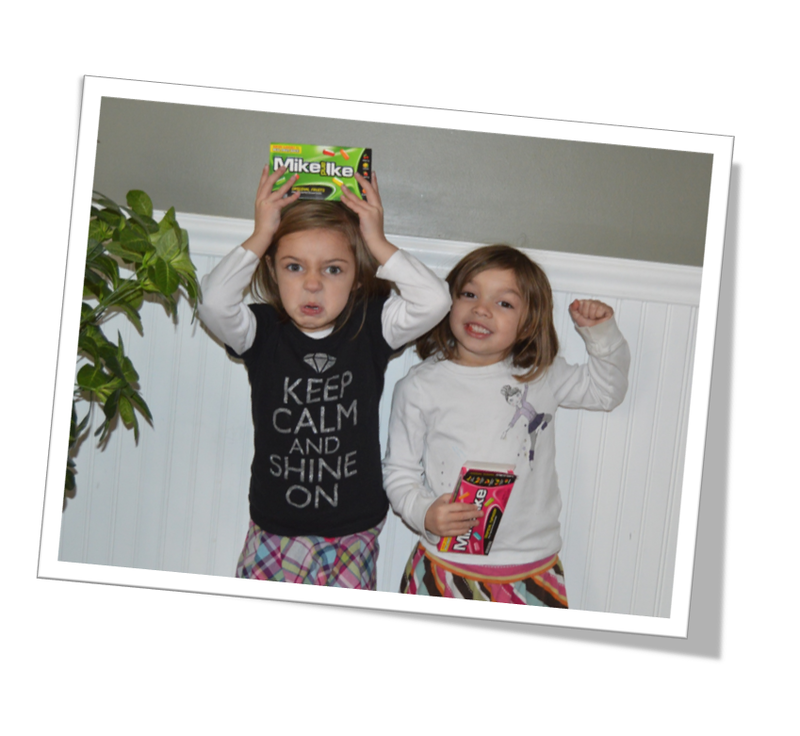 Oh, and by the way, the candy she wanted ended up being Mike & Ikes. After eating one piece she decided that she hated them. Another great one Deb. Exciting life we lead…WALMART on Sat night. This would have been a drastically different scene on a Sat night. circa 1992. While it has been years ….there were times that I thought the things that went on at Chez Swan were unique……clearly I was wrong! Loved my latest dose of putyourboogerinmypocket!